I’ve always known something has looked off to me!!! Todd, this is something that’s intrigued me, too. Thanks for the tally–and the insight. 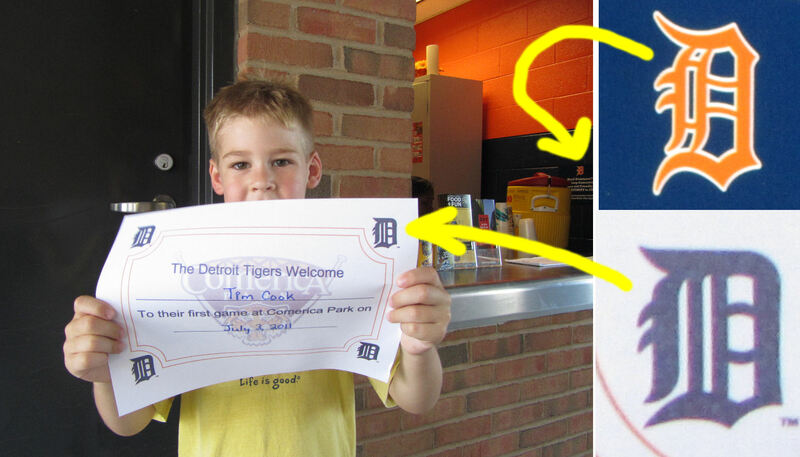 Maybe the Tigers will address this at some point in the future if more people ask about it. This is very interesting and funny analysis. I laughed a lot reading this! 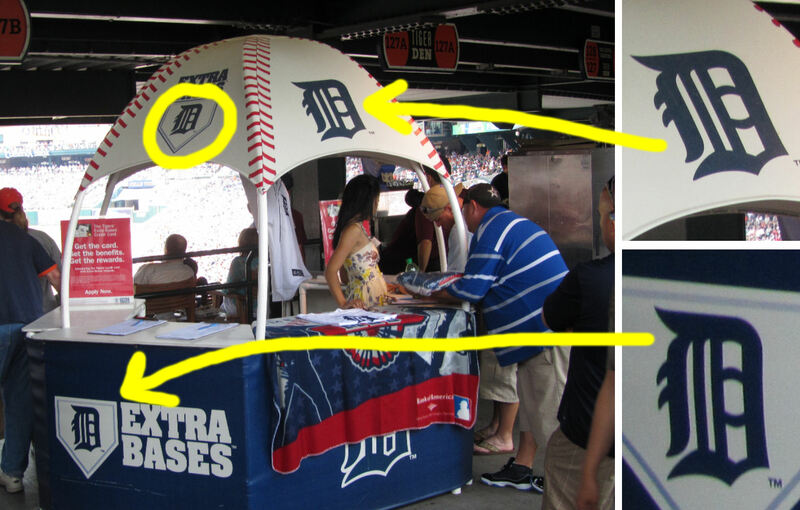 It’s strange indeed that the team doesn’t define their team logo. I found that also NY Yankees has different logos between hat and jersey, helmet. Glad you enjoyed it. It was fun searching out and compiling all of these D’s. 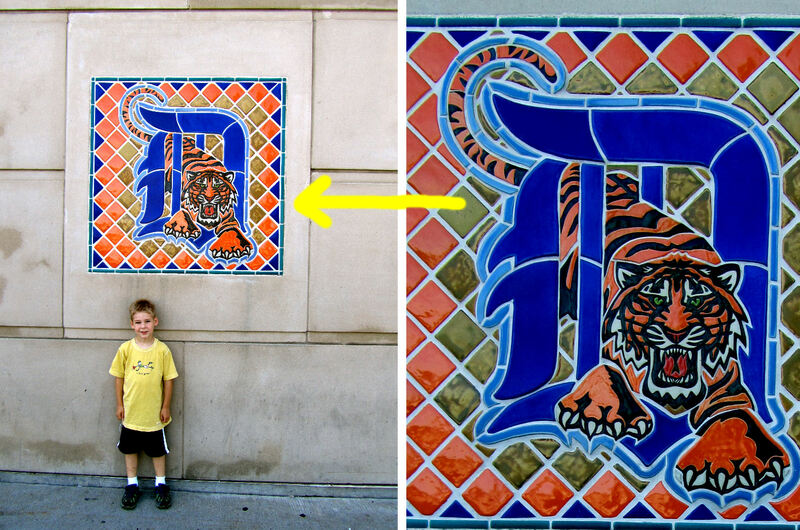 Check that “D” with the Tiger crawling through it. That should go down as both a hat D and a jersey D…if you count their 1990’s BP jerseys AND the special, one-game home blue alternate they wore for one game in 1995. But that was a fun tally! Great idea and job well done! 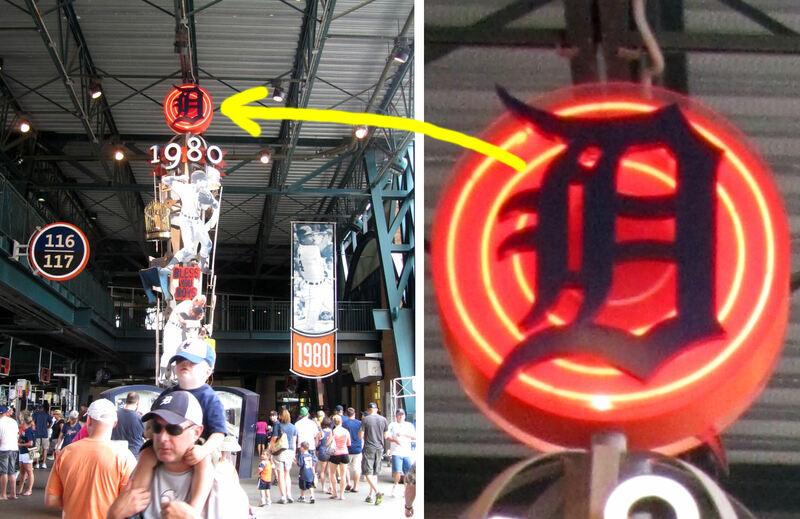 The Street sign D’s (orange pole flags) are actually different form both the “hat D’s” and the “jersey D’s”… There are 2 extra lines on the left side of the Logo… So there are actually 3 different D’s!!! 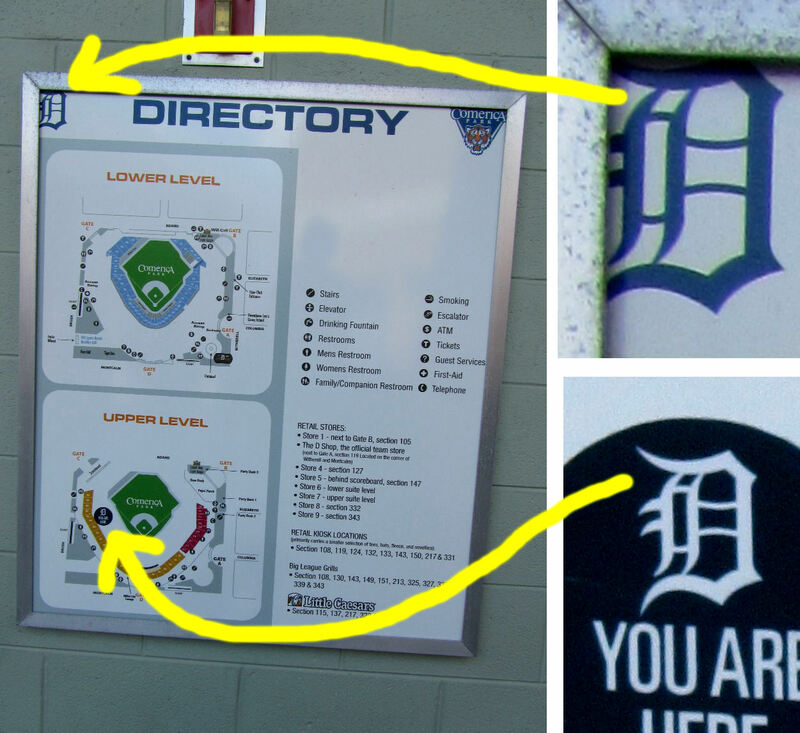 Actually the “jersey D” is the official logo, the “cap D” is the alternate logo. 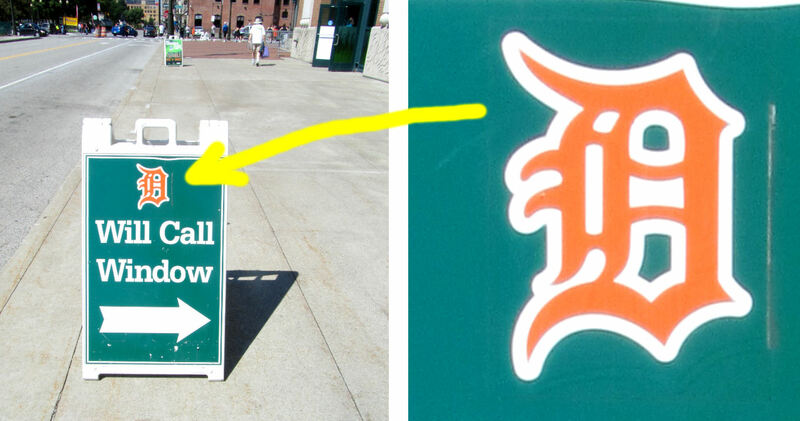 So it’s a branding nightmare that the alternate logo is used more than the official logo. But I do like the “cap D” better too. Do you think that there are enough D’s in that stadium? Seriously! 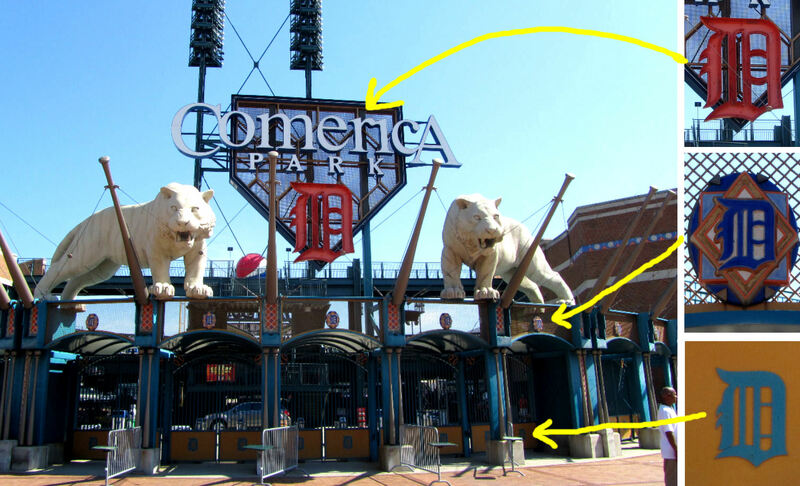 You’ll have to go back to Comerica Park, they have a new scoreboard in left field. Heaven knows how many new D’s of each stripe (Ha!) there are now. 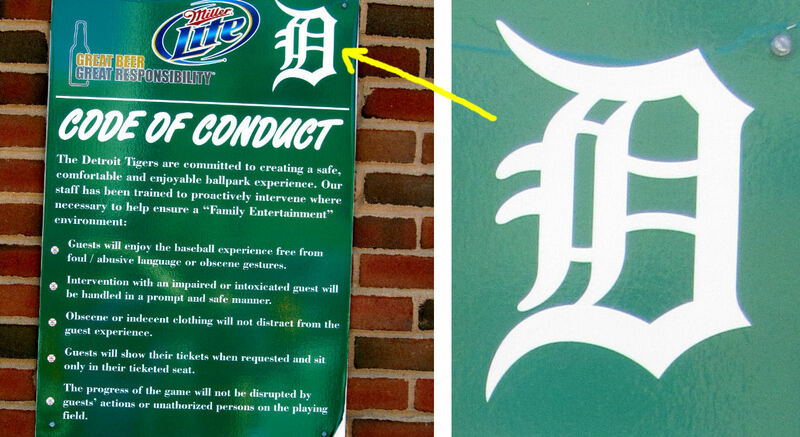 Actually, the Old English D has changed over time and the two Ds we see today is the last of the “mutations” the letter has taken over the years. Check out sportslogos.net which has the different logos used by the team. The Yankees also have two different versions of the “NY” logo. Nice blog entry! Had no idea! 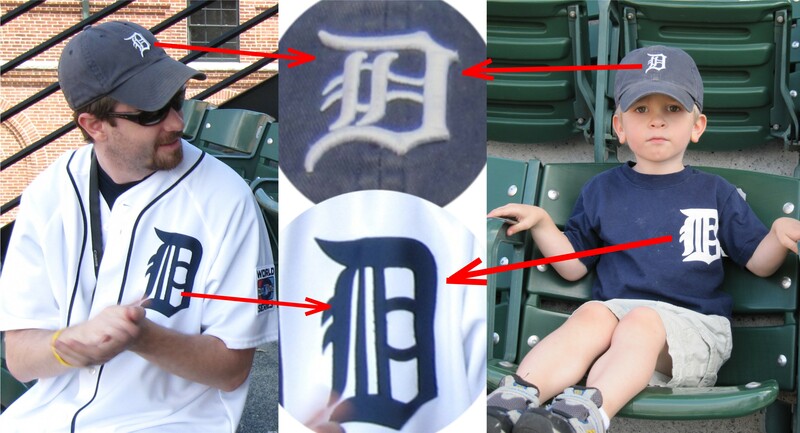 I have been researching this the last couple years & The Jersey “D” Has been the same since the 1930s. 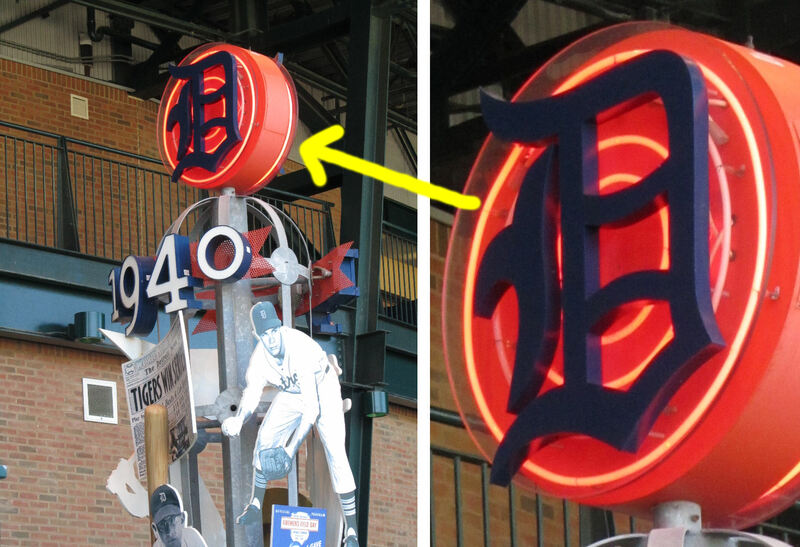 The “D” on the hat varied throughout the 30s, 40s, and 50s because of different hat manufacturers, and the current Hat “D” was standardized sometime in the late 60s and hasn’t changed since. 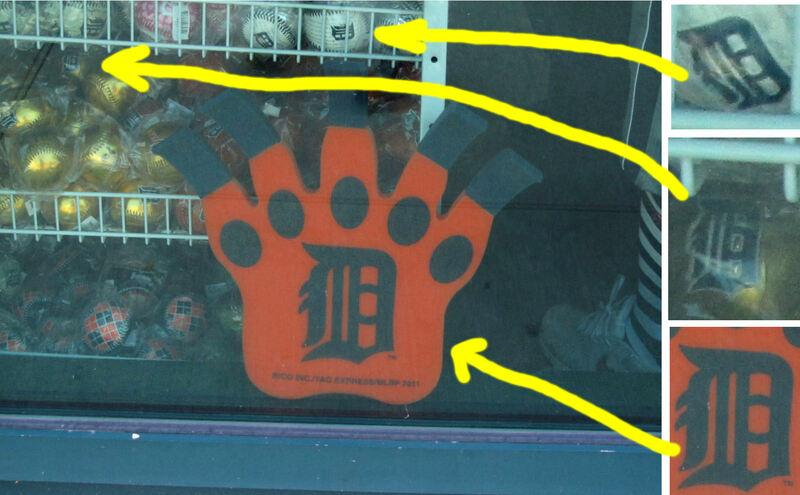 Go Tigers! 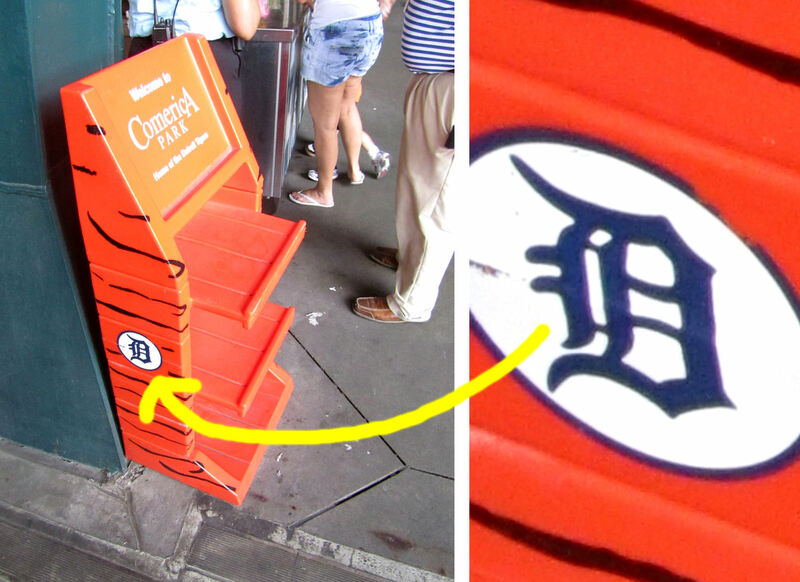 I dont like it either, we don’t have to literally have hundreds of Ds scattered throughout Comerica Park. 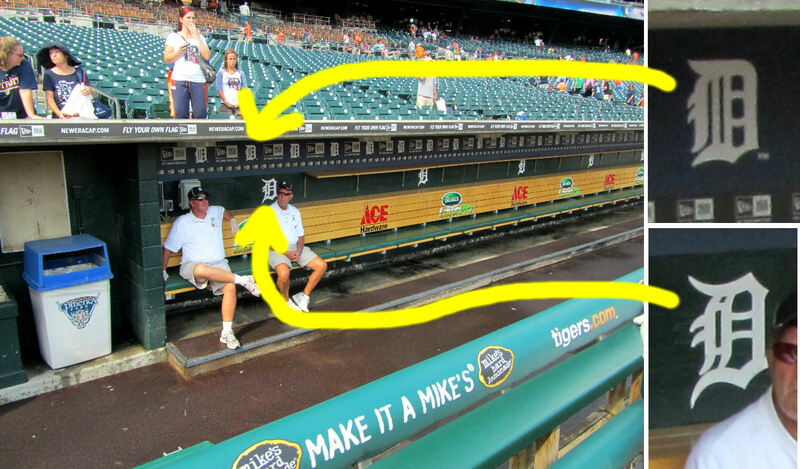 Can you help…looking for a Tiger baseball cap English D (white) in the front and another D in the back only that one is orange.